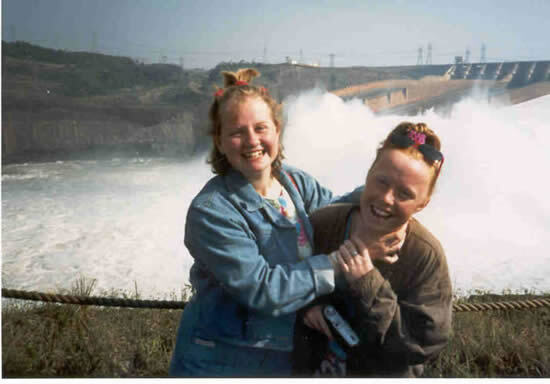 JoLt 1988 – South America « Jolt Trust – Expanding horizons, enriching young lives. 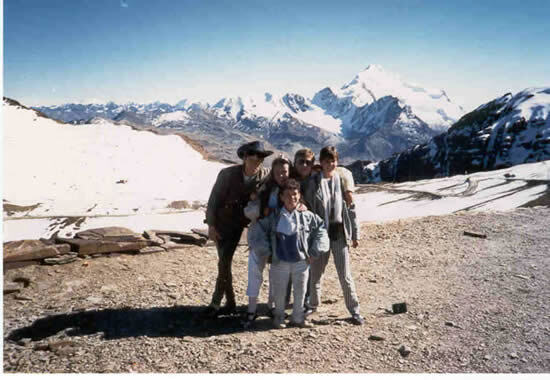 High in the Andes Mountains an unusual group of eighteen youngsters enjoyed a picnic lunch on a windswept plateau at the base of the volcano Cotopaxi. The sun was warm, the sky was clear and there were fine views of the snow-capped mountains of Ecuador. 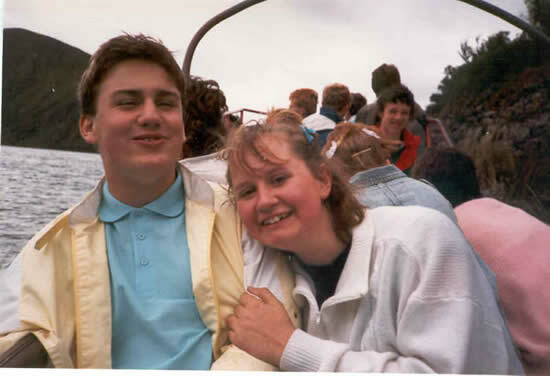 This was an almost unbelievable dream-come-true for a group that consisted of one blind girl; another who was partially sighted; a boy with hearing difficulties; a partially paralysed stroke victim; a severe diabetic; a girl with a double colostomy; a girl with a leg amputated because of cancer; a hemiplegic; a boy suffering from Parthes disease; a girl who was a rubella baby; a girl with Peutz Jegher’s Syndrome; another with Larson’s Syndrome and others who had known severe neglect and physical, mental or sexual abuse. 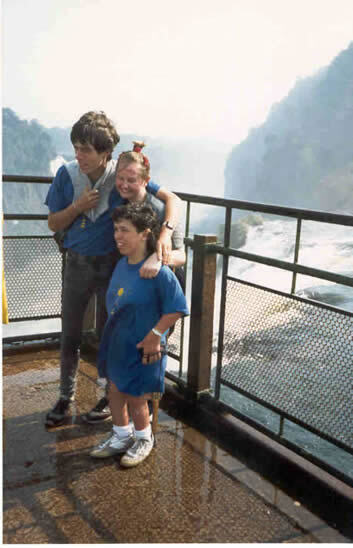 They were on their “Journey of a Lifetime” across South America and were accompanied by a doctor, two teachers and a guide. 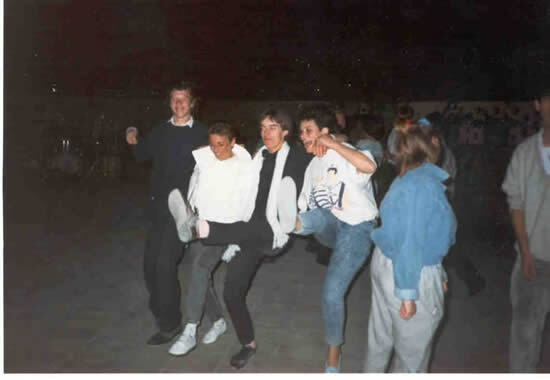 It was hoped that this ‘JOLT’ would help to make up, in some way, for all the difficulties that they had experienced in the past; that it would give them greater inner strength and self-belief and the confidence to tackle the many problems that they would later face. 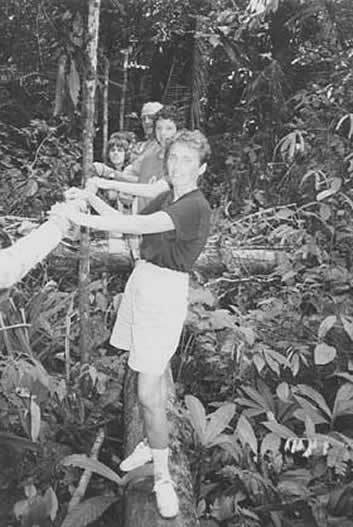 Although they were to be accompanied by four adults, the youngsters were expected to help and take care of each other. By learning to care for others and by accepting other peoples’ disabilities and problems, they would learn to cope with their own. 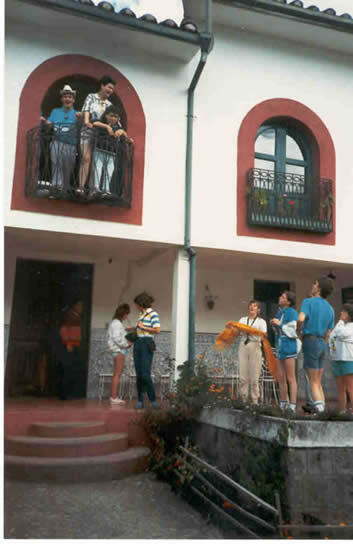 Our journey started in Colombia where some of the group initially suffered from altitude sickness but we nevertheless enjoyed the bustling streets of Bogota and tried to get used to the groups of young children, mainly boys, who roamed the streets begging. The cable car ride to Montserrate gave us superb views of the city and long drives down winding roads led to unexpected surprises such as a vast collection of rare and beautiful orchids. Altars and crosses by the side of the roads reminded traveller of those that had been killed on the roadside. In Ecuador we shopped in the colourful market at Latacunga where we could buy pink bananas, hundreds of varieties of potatoes, unusual vegetables and herbs and were able to experience briefly the poverty in which so many of the ordinary citizens of South America live. We saw rugs being woven and a kitchen alive with guinea pigs – a local culinary delicacy. 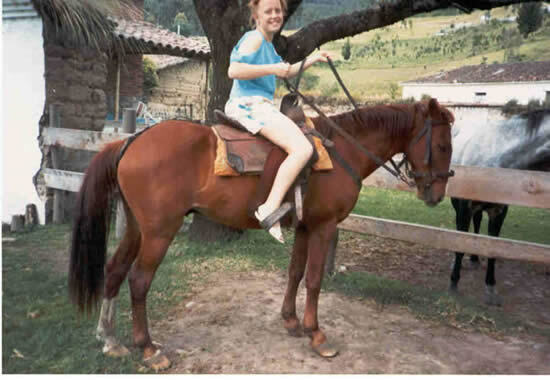 We stayed in a Hacienda and most of the group went horse riding in the lovely countryside. 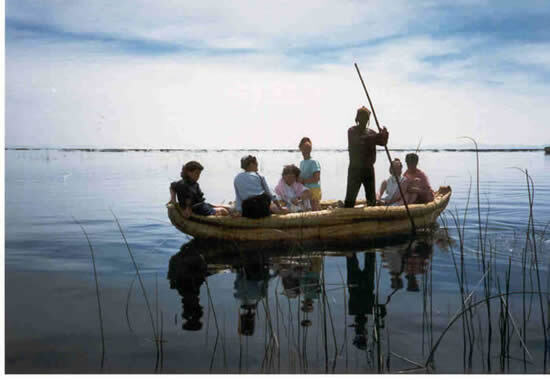 Photographs were taken with one leg each side of the Equator and braver members of the group consoled those who were frightened when we crossed the cold waters of Lake Cuicocha in a small motor powered narrow boat. Lima, the capital of Peru, where the sun is covered in cloud for nine months of the year, was a brief stop before travelling to the warmth of Iquitus and from where we took slow moving narrow boat on a fifty mile trip downstream to stay at a lodge on the banks of the Amazon. Here we were back to nature in the middle of the jungle and living in straw covered huts – no electricity here and no hot water. We slept under mosquito nets, washed in brown water and then threw the used water out of the windows of our bunk-bedded huts. Initially some of the group were concerned about the noises from the jungle, the bats that flew in and out of the huts and the size of the spiders but soon we were out on jungle walks seeing many insects and butterflies and visiting Yaguan Indians who dressed especially for us in their colourful grass skirts. It was with regret that the group left the jungle but the next few weeks were to fly part with so much to see and do: The ruins at Sacsayhuaman; the most beautiful scenery of the Urubamba Valley; the Pisac ruins; the village of Ollantaytambo; corn being threshed and trampled by horses in Chinchero and eventually we zig-zagged upwards by train to the mysterious sanctuary of Machu Picchu, the lost city of the Incas. 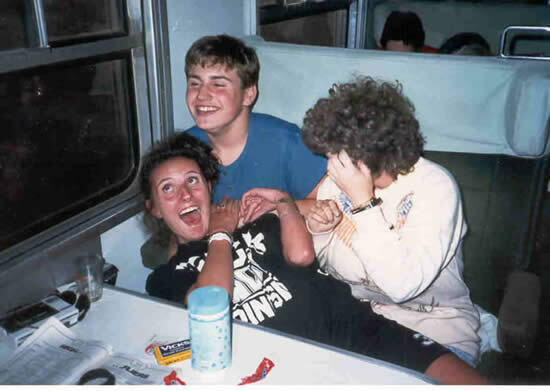 More train journeys were to follow but the most memorable one was the twelve-hour journey from Cuzco to Juliaca when the train’s lights failed and we travelled in darkness for two hours. 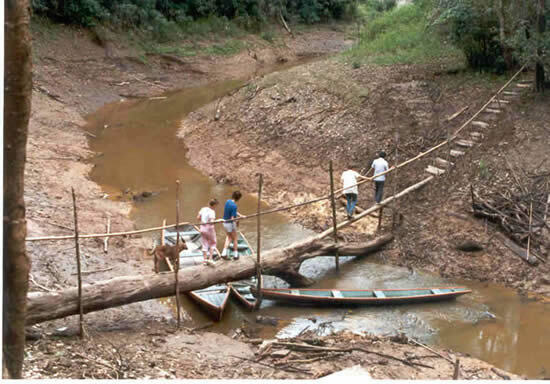 It was a frightened group that struggled through the throngs of people at Juliaca station. 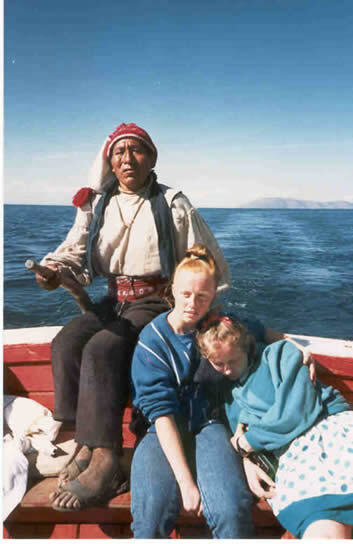 We spent many hours travelling across Lake Titicaca by Indian boat to Taquile Island. Because of the physical disabilities of some of the group (some had to be carried) the steep climb of 20 minutes took one and a half hours but we were rewarded by seeing a colourful festival in the market square with men playing pipes and drums and girls performing a slow dance. 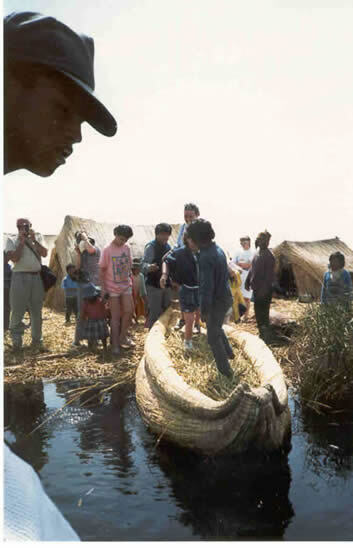 We also visited the floating reed isla: – the Uros islands – where we were able to sail in reed boats and witness the hard life that the Uros Indians have to endure. Across Lake Titicaca by hydrofoil to beautiful Sun Island and to Bolivia where we visited Moon Valley and threw snowballs on the top of the highest skiing resort in the world – Chacaltaya (18,000 feet) before travelling through Paraquay and onto Iguassu in Brazil. The sheer size, power and beauty of these falls, viewed from the Brazilian and Argentinian side, amazed us all. A few days of relaxation were spent in Rio de Janeiro before returning to Britain. 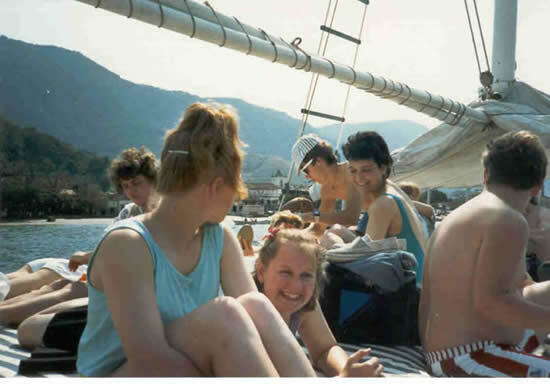 In Rio we bartered for T-shirts on Copa Cabana beach; travelled by cable car to Sugar Loaf Mountain; sailed in a schooner and spent an idyllic day on a tropical island. The month-long arduous “Journey of a Lifetime” across South America was over and it was with much regret and many tears that the group parted at the end of the journey. 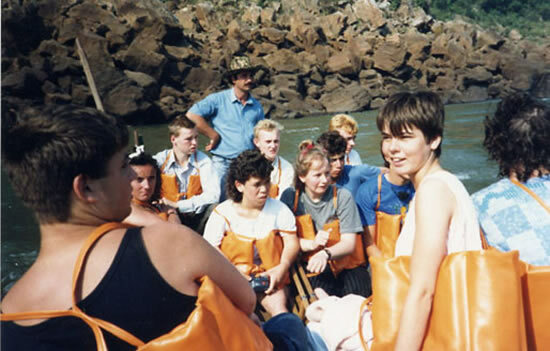 The success of the venture owes much to the marvellous youngsters who were selected for the journey; they really were the most co-operative, reliable and caring group with which we had the privilege to travel across the world. We wish every happiness to the eighteen young people who contributed so much as well as benefited so much from the venture, and we hope that they will continue to see us as friends to whom they can turn in times of trouble and in times of joy. We owe much to His Majesty King Hussein of Jordan for his continued support of our work. We are also grateful to Pringle of Scotland and the girls of Northwood College for their moral and financial support. Without their help and the help of almost three hundred companies, institutes and organisations this venture would never have been possible. We are indebted to our many friends at home who have worked so hard for us and the many new friends, especially British Embassy staff, who helped us along the way. We thank you all for your support and for your friendship. Above all, we thank you for caring. Participants: Marsha Bartlett, Dawn Basterfield, Anna Beresford, Pamela Clarke, David Curtis, Edward Deeley, Martin Evans, Alan Farr, Marc French, Clare Larkin, Jennifer Leedham, Andrew Madden, Helen McIntosh, Jessamine Moore, Lisa Redford, Alan Ruine, Paul Speer, Claire Wake. Leaders: Dorothy Dalton, Clive Ridgeon, Claire Walford.